The characterization and identification of the proteinaceous compounds in a complex and multi-layered painting is crucial for studying the technique used by the artist and for conservation and restoration purposes. These organic compounds, such as animal glues, milk and egg, have a particular importance since they are widely used as binders and adhesives in paintings. Proteins are typically detected by methods like chromatographic and proteomic techniques. However, the immunodetection approach shows to be a powerful method in protein analysis. In this study immunologic techniques, based on enzyme-linked immunosorbent assay (ELISA), were used in order to identify different proteic binders used in easel paintings. The methodology based on indirect ELISA allows the detection of the target antigen in paint models microsamples. These approach is very promising with regard to the possibility of apply these methodology in the detection of proteinaceous binders in real samples. Paintings are an expression of art widely used since antiquity. 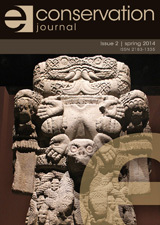 Its techniques and all associated materials have evolved from cave art to contemporary paintings . Mural or easel paintings contain a diversity of components, such as support materials, emulsifiers and binding agents that are easily degraded by microorganisms causing structural and aesthetic damage. This interaction leads to discoloration, stains or biofilms on the painting surface, degradation of the support and adhesive polymers, resulting in cracking and detachment of the layers ink [2-4]. The binding materials used are commonly proteins (e.g. : egg, animal glues, milk) that promote adherent films with variable elasticity and durability in the artwork [1, 2, 5-7]. 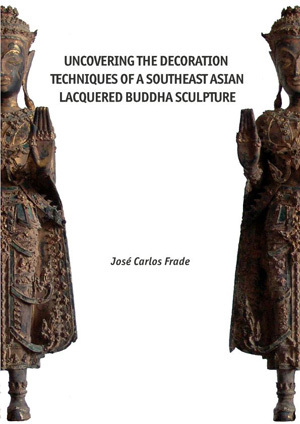 An extensive study on these materials in order to enable its correct identification and characterization are an important step to understand the technique used by the artist, providing relevant information for conservation and restoration processes . 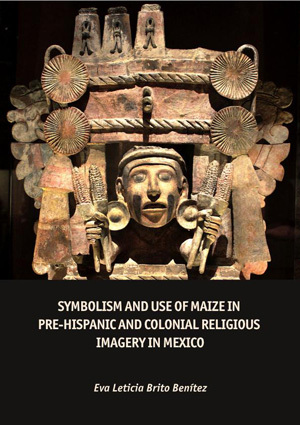 Unfortunately, the identification of proteins has been a particularly difficult issue to resolve due to the overtime degradation of these materials, together with the presence of other factors, such as the complex matrices in paintings, environmental contamination and precedent addition of restoring materials [3, 9-12]. Immunological techniques for protein identification in artworks are a valuable approach, showing unique advantages like selectivity regarding the biological source, ability to resolve complex mixtures of proteins and high specificity of antibody-antigen binding, allowing the detection of protein at low quantities [11, 13-15]. In this paper immunological approaches based on ELISA were carried out for the identification of several proteic binders used in easel paintings. The immunoassays were performed using monoclonal and polyclonal antibodies (Ab) such as Anti-Chicken Egg Albumin (ovalbumin) and Anti-Collagen Type I as primary antibodies and Anti-Mouse IgG (for monoclonal Ab) or Anti-Rabbit IgG (for polyclonal Ab) enzyme alkaline phosphatase conjugates as secondary antibodies. In the first step, antibodies titrations have been determined by dilution of the commercial standards of ovalbumin and collagen, and the ELISA protocol has been optimized testing different temperatures and incubation times for a detection signal increase. In the second step a selectivity study for each antibody was performed using several proteins, commonly found as binders in paintings. The procedure was then used in paint models microsamples, enabling the optimization of the antigen (protein) extraction efficiency, and the development of a methodology that allowed the detection of low quantities of proteins with high specificity. The used primary monoclonal and polyclonal antibodies were: Monoclonal Anti-Chicken Egg Albumin (Ovalbumin) antibody produced in mouse (ascites fluid) (A6075, Sigma-Aldrich), Polyclonal Anti-Chicken Egg Albumin antibody produced in rabbit (whole antiserum) (C6534, Sigma-Aldrich), Monoclonal Anti-Collagen Type I antibody produced in mouse (C2456, Sigma-Aldrich) and Polyclonal Anti-Collagen I, N-terminal antibody produced in rabbit (SAB4500362, Sigma-Aldrich). The secondary antibodies Anti-Mouse IgG (whole molecule) conjugated enzyme alkaline phosphatase produced in rabbit (A2418, Sigma-Aldrich) and Anti-Rabbit IgG (whole molecule) conjugated enzyme alkaline phosphatase produced in goat (A3687, Sigma-Aldrich) were used for colorimetric detection by enzymatic reaction in presence of para-nitro-phenyl-phosphate (p-NPP, 71768, Sigma-Aldrich) as enzyme substrate, for the assay in presence to the monoclonal and polyclonal antibodies respectively. Phosphate-buffered saline solution (PBS, 137 mM NaCl, 10 mM phosphate (10,1 mM Na2HPO4, 1,8 mM KH2PO4), 2,7 mM KCl, pH 7,4) was used to dilute antigens and for washing step after the antigen incubation. PBS 1x with Tween 20 0.05% solution (PBS-T) was used for washing step after the incubation with primary and second antibodies. Bovine serum albumin 1% (BSA, A2153, Sigma-Aldrich) in PBS was used as a blocking solution, and solutions of BSA 0.1% in PBS and BSA 0.1% in PBS-T were used to dilute the primary and secondary antibodies, respectively. Glycine buffer solution (0.1M pH 10.4 with 1 mM MgCl2 e 1 mM ZnCl2) was used to dilute the substrate p-NPP and for washing step immediately before the substrate addition. ELISA antibodies titrations have been carried out by dilution of commercial standards of ovalbumin (albumin from chicken egg white, A5378, Sigma-Aldrich) or collagen from bovine Achilles tendon (C9879, Sigma-Aldrich) with concentrations between 1 mg mL-1 and 1 µg mL-1 in PBS buffer. Fresh hen's egg and whole bovine milk were purchased at the local market. Commercial casein (C3400, Sigma-Aldrich), BSA, gelatin from cold water fish skin (G7765, Sigma-Aldrich), egg white and yolk, animal glues (rabbit skin, rabbit bones and sheep skin glues), fish glue, bovine milk were used as unspecific controls for Anti-Chicken Egg Albumin or Anti-Collagen Type I antibodies. Trichloroacetic acid 5% (TCA) and Coomassie blue dye G-250 (0.06% (m/v) in cloridric acid 0.6 M (HCl)) were used for protein precipitation and for protein quantification, respectively. Extraction of ovalbumin was based on isoelectric precipitation using TCA. This method uses a quantity of egg white/yolk (10 mL), separately, on three centrifugation steps of 10 min at 3000 rpm. In the first step was used H2O (10 mL) to help the dissolution and clean some of the impurities. For protein precipitation TCA 5% (10 mL) was added and one more washing step was made. The extracted proteins were resuspended in H2O (10 mL) . Solutions of animal glues which were in solid state were obtained by hydration with distilled water (0.8 g in 10 mL of water) to aid dissolution. Subsequently the samples were incubated overnight at 25°C and then mixed with a glass stirring rod to ensure homogeneity. The glues solutions were ready to use and stored at 5°C. Paint models with single paint layers on prepared wood panels with 3 years of natural aging were analyzed. These layers are composed by egg white and yolk, and different animal glues such as rabbit skin glue, rabbit bones glue and sheepskin glue as binders. Extraction of proteins from paint model samples was made by scrapping off 1 mg of powder from the samples surface with a micro-scalpel and 500 µL of PBS was added. The protein content extraction process was optimized by four extraction methods described in Table 1. After the incubation period the samples were centrifuged at 3000g for 15 min, the supernatant was collected and used as antigen in ELISA assays . Table 1. Test conditions used in the optimization of protein extraction process. The protein quantification was performed by Bradford method  using BSA as standard solution (1 – 40 µg mL-1). The absorbance was read at 590 nm using a microplate reader (Multiskan GO, FI-01620 Thermo Scientific, Vantaa, Finland). Total protein content of the microsamples was expressed as g of BSA equivalents per milligram of microsample [19, 20]. The detection of the protein binders (ovalbumin and collagen) was carried out by immunoenzimatic assay (ELISA) with an initial optimization of the procedure conditions, such as temperature and incubation time of antigens and primary antibodies concentrations. Commercial standard solutions of ovalbumin or collagen (antigen solutions) with concentrations between 1 mg mL-1 and 1 µg mL-1 were applied into an ELISA microplate (50 µL per well) and incubated overnight at 4°C, later changed to 1h at 37°C, allowing the binding of proteins to the surface of the wells. After, microplate wells are thoroughly rinsed with PBS (150 µL per well, repeated three times), in order to remove any unbound antigen. The second step of the procedure was the addition of the blocking solution of BSA 1% in PBS (100 µL per well), used to saturate the unspecific sites of binding. The plate was next incubated for 1h at 25°C, later changed to 30 min at 37°C. After the incubation, no washing process was made, and the primary monoclonal or polyclonal antibodies Anti-Chicken Egg Albumin and Anti-Collagen Type I were added to the microplate (100 µL per well and diluted with BSA 0.1% in PBS) with dilutions between 1:500 to 1:250000 and between 1:200 to 1:20000 (and with initial concentration of 1 mg mL-1), respectively. The microplate was incubated for 1h at 37°C allowing the binding between the antigens and the antibodies. Next, another washing step was made using PBS-T (150 µL per well), and the secondary antibodies rabbit Anti-mouse IgG and goat Anti-rabbit IgG alkaline phosphatase conjugated were added (100 µL per well) with dilutions of 1:4000 and 1:5000 for monoclonal Anti-Chicken Egg Albumin and Anti-Collagen Type I, respectively and 1:40000 and 1:20000 for polyclonal Anti-Chicken Egg Albumin and Anti-Collagen Type I, respectively (diluted with BSA 0.1% in PBS-T) following an incubation of 1h at 37°C to allow the binding between the primary and the secondary antibodies. Finally, the last washing steps were made with PBS-T (150 µL per well, repeated three times), H2O (150 µL per well) and glycine buffer (150 µL per well) and colorless p-NPP (1 mg mL-1 in glycine buffer, 100 µL per well) was added. After the substrate reaction for 30 minutes at 25°C in dark, the absorbance was read at 405 nm using a microplate reader (Multiskan GO, FI-01620 Thermo Scientific, Vantaa, Finland). During the assay the following controls were performed to validate the assay: without the addition of antigen, primary antibodies, secondary antibodies and substrate [21, 22]. In the present assay, the EC50 is defined as the amount of antibody required to give a 50% response on the dose–response sigmoid curve plotted with increasing concentration of antibodies. The detection of fresh and aged ovalbumin and collagen binder’s samples was carried out according to the previously described with the greatest working conditions selected. The incubation with the blocking solution of BSA 1% was made for 30 min at 37°C. The primary monoclonal or polyclonal antibodies Anti-Chicken Egg Albumin were added to the microplate with dilutions of 1:2000 and 1:15000, respectively and the monoclonal or polyclonal antibodies Anti-Collagen Type I were added with dilutions of 1:2000 and 1:5000. Posteriorly were performed assays confirming the specificity of the monoclonal and polyclonal antibodies Anti-Chicken Egg Albumin and Anti-Collagen Type I. For this, different proteic binders and standard proteins were used: commercial ovalbumin, collagen, casein, BSA, and gelatin from cold water fish skin, and extracted proteins such as ovalbumin from hen’s egg, casein from bovine milk, fish glue and animal glues like sheep skin, rabbit skin and rabbit bones. All the ELISA tests were performed at least three times on each sample. The positive results were expressed in antibody units per milliliter, being one antibody unit defined as the amount of antibody required to give a change in absorbance of 1.0 at 405 nm per 30 min of reaction of secondary antibody alkaline phosphatase conjugate with the substrate p-NPP, under the standard conditions of ELISA early described [5, 23, 24]. For the analysis of protein binders of ovalbumin and collagen detection, commercial polyclonal and monoclonal Anti-Chicken Egg Albumin and Anti-Collagen Type I antibodies were used. To increase specificity and sensibility of the immunological assay we used indirect ELISA, where the antigen is adsorbed on the plastic surface of the well plate, and is detected by its specific not labeled antibody (called primary or capture antibody). The primary antibody is next recognized by a second enzyme conjugated antibody, named secondary or detection antibody, that binds in a very specific way to the primary one and which is, conjugated to an enzyme that can activate a chromogenic or fluorogenic substrate producing an optical signal. In fact, the use of secondary antibodies besides increasing the specificity of the immunoassay, reduces the unspecific background due to the linkage of antibodies on the plastic surface of the well plate. Initially, in order to obtain the optimal conditions of the use of polyclonal and monoclonal anti-Chicken Egg Albumin and Anti-Collagen Type I antibodies assays with several concentration ranges of the antibody were performed. Through the determination of EC50 values, which corresponds to the amount of specific antibody required to obtain 50% response/detection, we select the optimal concentration of antibodies to use in the subsequent tests. The dose-response curves are shown in the Figure 1. The EC50 concentrations values obtained for monoclonal and polyclonal Anti-Chicken Egg Albumin antibodies were 0.762 ± 0.131 µg mL-1 and 0.212 ± 0.032 µg mL-1, corresponding to dilutions of 1:4000 and 1:15000, and for monoclonal Anti-Collagen Type I antibody was 0.557 ± 0.053 µg mL-1 corresponding to dilution of 1:2000. For polyclonal Anti-Collagen Type I the concentration used was 0.200 µg ml-1 corresponding to the dilution of 1:5000. In a second step, immunoassay conditions were optimized for the application of the specific antigens (proteins used in paintings), testing different temperatures and incubation times, in order to determine the best procedure conditions for the antigens adherence in the microplate. Increasing temperature values from 25°C to 37°C provided an increase in signal detection after the overnight incubation. With the temperature establishment at 37°C, the antigens incubation time was also tested, decreasing gradually to evaluate the effect of this parameter on the detection signal. Four different incubation times were tested: 16 h, 12 h, 6 h and 1 h and the detection signal were analyzed for all antibodies, showing that the decreasing of the incubation time don’t mainly affect the detection signal. Accordingly, with these results and making the immunoassay more quick and effective, the antigens incubation conditions selected were 1 h at 37°C. Figure 1. Dose-response curves corresponding to the titration of (a) polyclonal and (b) monoclonal Anti-Chicken Egg Albumin and (c) monoclonal antibody Anti-Collagen Type I, to determine the EC50 values. Values are mean (n = 6) ± standard deviation. Microsamples collected from single layer paint models were subject to an initial optimization process in order to maximize protein extraction. The total protein content extracted from aged paint models microsamples in the different extraction processes are presented in the Figure 2, and these values are expressed as microgram of protein in one milligram of microsample. In the first extraction method, in which was used one extraction cycle with 3 hours of sonification with posteriorly overnight incubation at 25°C, the protein content obtained was too low for detection by ELISA assays. Thus the sonification step was performed in two cycles alternating with incubations of 1h at 37°C with agitation, resulting in a significant increase of the protein content extracted. The addition of the incubation steps in the extraction process seems to be responsible for the improved protein content obtained. So, we performed three extraction cycles and the overnight incubation was carried out at 37°C, inducing an additional increase in the protein content extracted. Afterwards was tested a fourth extraction process where after the overnight incubation were carried out 3 more extraction cycles were carried out, however a significant increase in the protein content was not observed. Consequently extraction 3 methodology, with three extraction cycles and overnight incubation at 37°C, was selected for microsamples protein extraction in the paint models. Figure 2. Protein content extracted from microsamples of aged paint models for different extractions used in the optimization process. Values are mean (n = 3) ± standard deviation. The detection capability and specificity of the four commercial antibodies used were tested in assays with several extracts of protein binders: ovalbumin extracted from yolk and white hen’s egg, collagens from different animal origins and fish glues, and casein from bovine milk. We also used the commercial proteins: ovalbumin, collagen, BSA and casein. 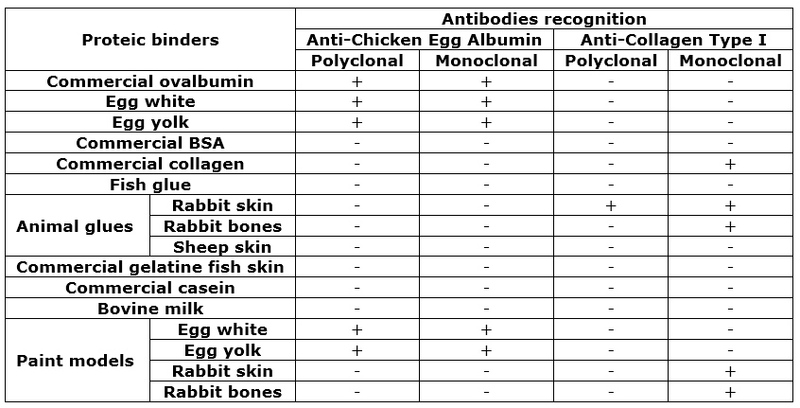 Table 2 shows the specificity results with the positive and negative detection observed for different protein samples with the four antibodies: Anti-Chicken Egg Albumin (polyclonal and monoclonal) and Anti-Collagen Type I (polyclonal and monoclonal). Table 2: Specificity assay on the detection of the polyclonal and monoclonal antibodies Anti-Chicken Egg Albumin and Anti-Collagen Type I for different extracted proteic binders and standard proteins. Polyclonal and monoclonal Anti-Chicken Egg Albumin antibodies had a high recognition for commercial ovalbumin and for extracts obtained from hen´s egg (egg white and yolk). Indirect ELISA also allows the detection of the target antigen present in paint models microsamples with egg white and yolk as proteic binder after solvent extraction, confirming the success of the developed methodology. On the other hand, for the protein samples that are used as non-specific antigens (commercial BSA, casein and collagen, bovine milk, animal and fish glues, gelatin from fish skin and microsamples of the aged paint models containing collagens from rabbit skin and bones), antibodies showed no recognition response, evidencing their applicability on complex mixture of proteins. The commercial collagen is recognized only by monoclonal Anti-Collagen Type I antibody, due to bovine origin of commercial collagen (bovine Achilles tendon). This antibody is also specific for collagens originating from rabbit, pig, bovine, deer, rat and human. Thus, the recognition results for proteic extracts were: high recognition for animal glue of rabbit skin, lower for rabbit bones glue and no recognition signal for sheep skin glue. Paint models microsamples with animal glue of rabbit skin and bones as proteic binders showed high recognition by this antibody. Although this antibody has no specificity to collagens obtained from rabbit origin showed high recognition for rabbit skin glue, causing doubts about the biological origin of this glue that can be a mixture of binders with two or more animal sources. Monoclonal and polyclonal Anti-Collagen Type I antibodies used showed no recognition signal for the non-specific antigens tested, such as commercial BSA, casein and ovalbumin, bovine milk, egg white and yolk, fish glue and gelatin from fish skin and microsamples of the aged paint models containing egg white and yolk. These results confirm the antibodies specificity to antigens of ovalbumin or collagen with different origins, emphasizing the positive results achieved for protein extracts obtained from microsamples of the paint models. According to the positive results of recognition obtained in the specificity assay for samples extracted from hen´s egg, animal glues from rabbit and recovered from aged single layer paint models, the quantification of the recognition activity for each antibody was advanced. The results obtained were summarized in the Table 3. Table 3: Detection activity of the polyclonal and monoclonal Anti-Chicken Egg Albumin and Anti-Collagen Type I antibodies for proteic binders. This analysis showed that egg white is the protein sample with higher recognition activity by the Anti-Chicken Egg Albumin antibodies, similar to obtained for commercial ovalbumin. The egg yolk shows less recognition activity than egg white for the same protein content, which can be explained by the possible interference of organic constituents of egg yolk, such as lipids and amino acids and the interaction with other proteins such as phosvitin the principal phosphoprotein of egg yolk. Similarly for the microsamples of aged paint models, microsample with egg white contains low protein content but is strongly recognized by the monoclonal and polyclonal antibodies compared to microsample with egg yolk. Monoclonal Anti-Collagen Type I antibody, as previously referred, shows recognition activity for commercial collagen, animal glues obtained from rabbit skin and bones and microsamples of aged paint models that contains collagens obtained from rabbit skin and bones. This antibody shows greater recognition activity for samples containing collagen obtained from rabbit skin. 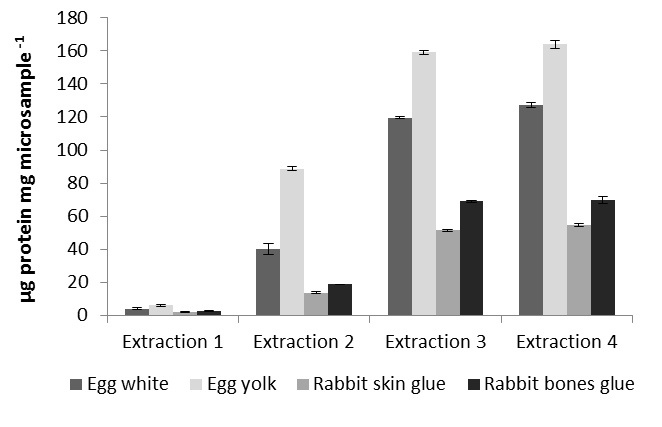 Although the microsample of rabbit bones binder had shown higher protein content, the microsample containing rabbit skin had a higher recognition activity. These results evidence the enormous potential of the optimized methodology for applicable in specific detection and relative quantification of the protein binders, in microsamples of aged paint models. 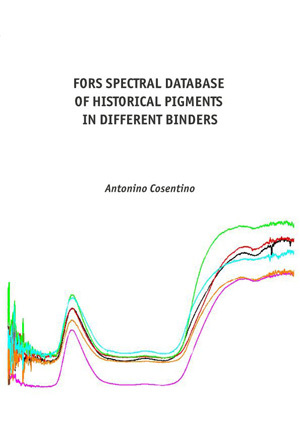 This study proved to be an innovative approach to the identification and quantification of proteic binders in art. Polyclonal and monoclonal Anti-Chicken Egg Albumin antibodies had a high recognition for commercial ovalbumin and fresh protein extracts obtained from hen´s egg, and no recognition signal for commercial BSA, collagen, casein, gelatin from fish skin, animal glues, fish glue and bovine milk. Monoclonal Anti-Collagen Type I antibody recognized commercial collagen and showed high specificity for collagen from rabbit skin and bones. Polyclonal Anti-Collagen Type I antibody only recognized rabbit skin glue. Our research offers advancement in this field and will be applied to other glues of different origin to develop and validate an easy protocol to be applied by “non-specialists” in conservation and restoration diagnosis and in the technical study of easels paintings and artworks in general.